Will I owe money to my mortgage company after a foreclosure sale? As a bankruptcy attorney, a very common scenario that I experience is a person that is facing a foreclosure or is worrying about owing money after a foreclosure sale, short sale or deed in lieu of foreclosure. With so many foreclosures in the recent past and with many more in the works, a lot of people are faced with exactly this question: What happens after I lose my house or commercial property? Will I get sued for whatever the mortgage company didn’t get at the sale? The answer to that question depends largely on what state that your property is in. Nebraska residents have a huge advantage because lenders only have 90 days from a Deed of Trust foreclosure sale date in which to file a lawsuit for money (the amount of the deficiency) against the previous homeowner. Iowa residents, on the other hand, are open to getting sued by the lender for up to 10 years! That’s scary! During many bankruptcy consultations, there are times that my client tells me that the only reason that they are in financial trouble is due to a mortgage foreclosure. They might be near the beginning of a foreclosure, in the middle of one or coming to see me after the foreclosure sale has been completed. Obviously, if the sale has already happened, there is very, very little chance of saving the house, even with a bankruptcy filing. But, many people are desperately just needing to know their fate after a foreclosure sale occurs. My advice, again, depends on the location of the house (or building). If the foreclosure sale is for property located in Nebraska, then my normal recommendation is to wait out the 90 days and see if anything happens. Of course, this assumes that the only significant financial problem that my client faces is related to the property and defaulted mortgage note. Amazingly, 95% of the time, the mortgage company does NOT pursue the borrower after a mortgage foreclosure in Nebraska. In essence, a bankruptcy filing is not necessary under these circumstances because of the short statute of limitations in Nebraska for deed of trust foreclosures. On the other hand, if my client owns real property in Iowa and is facing a significant deficiency in their mortgage note after a foreclosure sale, then filing a bankruptcy becomes a near necessity in those situations. At that point, the discussion changes to which type of bankruptcy is the best option, whether that be a Chapter 7 or Chapter 13. 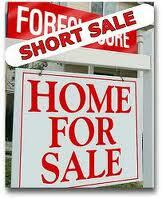 Should I consider a “short sale” or Deed in Lieu of foreclosure? For Nebraska cases, I would proceed with extreme caution before ever agreeing to either a short sale or deed in lieu of foreclosure. Why? Because the 90 day statute of limitations only applies IF a foreclosure sale actually occurs. A short sale agreement does not necessarily get you off the hook for the deficiency, if any exists. Although you may accomplish the avoidance of a foreclosure, you may have opened up a lawsuit for a deficiency at the same time by engaging in a short sale transaction. The status of limitations for a contract is 5 years in Nebraska. Thus, solving the foreclosure crises by a short sale or deed in lieu of foreclosure could just create an enormous problem of financial liability that didn’t previously exist. Of course, if you live in Iowa, there may be very good reasons to consider a short sale or deed in lieu of foreclosure, especially if you can negotiate a limitation on future liability. The goal of receiving as much credit as possible toward the mortgage note makes a lot of sense in that you remain liable for any balance by operation of Iowa law. In the final analysis, whether to file bankruptcy or not in order to deal with a mortgage deficiency is a matter for deep consideration after obtaining all of the relevant facts. Bankruptcy can, in many, if not most cases, wipe out the liability remaining from a mortgage. Of course, there are many other factors to consider as well, not the least of which is whether or not to file a Chapter 13 or Chapter 7 bankruptcy subject to qualifying for the same. Meeting with a knowledgeable bankruptcy attorney is the key to making the best decision possible.